Incas are no different from the Ancient Romans, Ancient Greeks, Maoris, Aborigines, and Native Americans when it comes to art and tools. 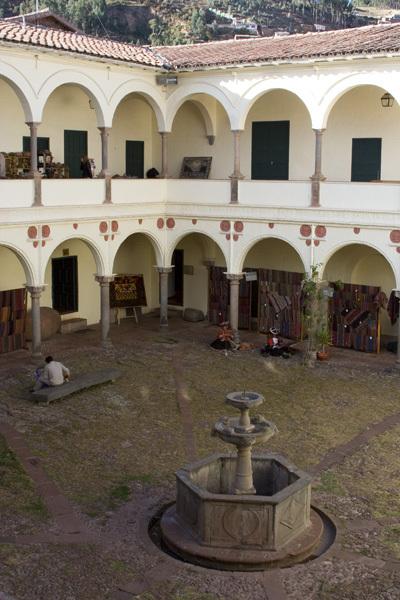 Museo Incas glorifies with an incredible collection of Incas artifacts, which include pottery, jewelry, sculptures, textiles, and tools. While visiting the Inca sites such as Pisac and Ollaytaytambo was fascinating, seeing the artifacts was just as exciting to see. It’s always very interesting to see how the Incas lived their lives by knowing what tools they used for both survival and pleasure. They also have enormous shadow boxes depicting scenes of Incas’ lives which gave me a greater comprehension of how they lived their lives on the lands of Peru. The admission to the museum is very cheap – S./ 10 ! I would definitely go check it out! It’s located right behind the Cathedral!